Following a London press launch on 21st May for the new Eadweard Muybridge: Defining Modernities, web portal a symposium took place in NFT2, which I was able to attend. Report below (with text adapted from the Press Release). The web portal is the result of a 6 month AHRC knowledge transfer project undertaken by Alex Reynolds and led by co-partners Fran Lloyd and Peta Cook as part of the larger ‘Muybridge in Kingston’ research project initiated by David Falkner, Stanley Picker Gallery, and Peta Cook, Curator of Kingston Museum. 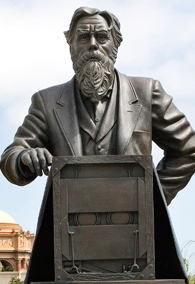 Eadweard Muybridge: Re-Presenting History in the Digital Age. 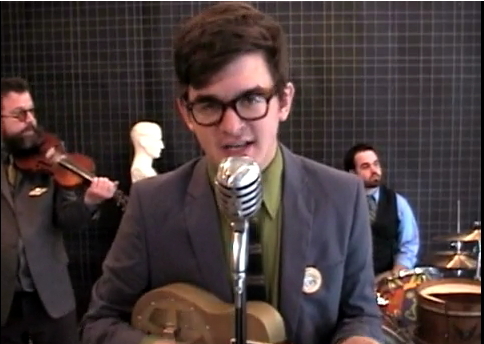 21st May 2010, NFT2 2.00 – 5.30pm. Critically reflecting on some of the key questions to arise from a recent AHRC funded project surrounding Eadweard Muybridge. 2.00pm – 2.30pm: Introduction by Project Leaders. New portal demonstrated. Dr Harriet Riches Senior Lecturer in Art History and Visual Culture at Kingston University, London. Dr Riches considered the legacy of Muybridge’s studies of the human figure and discussed how this might continue to inform our understanding of the representation of the body, gender and the photographic gaze in contemporary art and visual culture. 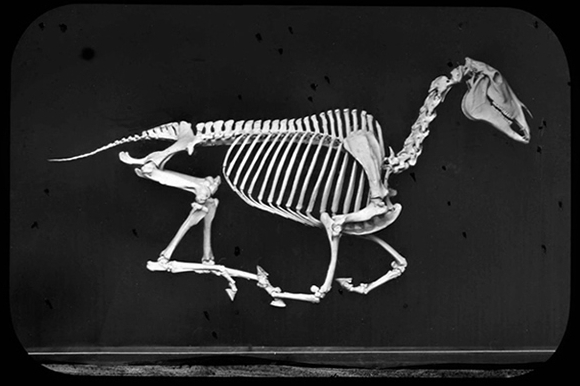 Ranging widely but focusing in particular on one image from Animal Locomotion, ‘Turning around in surprise and running away’ (also labelled my Muybridge as “Ashamed”), from Animal Locomotion, this talk explained the art history precedent for that particular pose. Prof. Tim Cresswell Professor of Human Geography and Director of Graduate Studies in the Department of Geography at Royal Holloway, University of London. 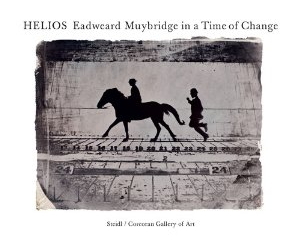 Professor Cresswell placed the photographic enterprises of Muybridge in the context of the production of mobilities in late 19th Century United States; exploring how his images attempted to portray an abstract and disembodied notion of movement whilst being connected to and reproducing particular emergent narratives of mobility at the time. 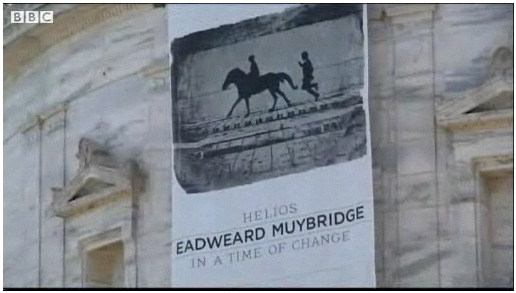 The talk discussed Muybridge’s endeavours within a general account of the role of mobility in social and cultural life. I was especially interested in several subjects touched on briefly by Professor Cresswell, such as the current use of ‘gait recognition’ by airport security – unusual movement being a telltale sign that someone is up to no good, prompting the joke that the British Government may perhaps need a Ministry of Funny Walks; and the tracking of objects in motion by RFID (radio-frequency identification) tags, so ubiquitous on products from library books to self-checkout shop goods. Louise Shannon Curator, Deputy Head of Contemporary Programmes Victoria and Albert Museum and co-curator of ‘Decode’. This talk offered an introduction to digitisation in current curatorial and artistic practice by discussing the role of digital art and design within Contemporary Programmes at the Victoria and Albert Museum; particular points of discussion being drawn from the recent exhibition ‘Decode’. The speaker explained some of the problems of archiving and future re-display of digital and high-tech artworks that had little or no physical presence, or those in which the artist’s intended effect requires considerable effort to set up. 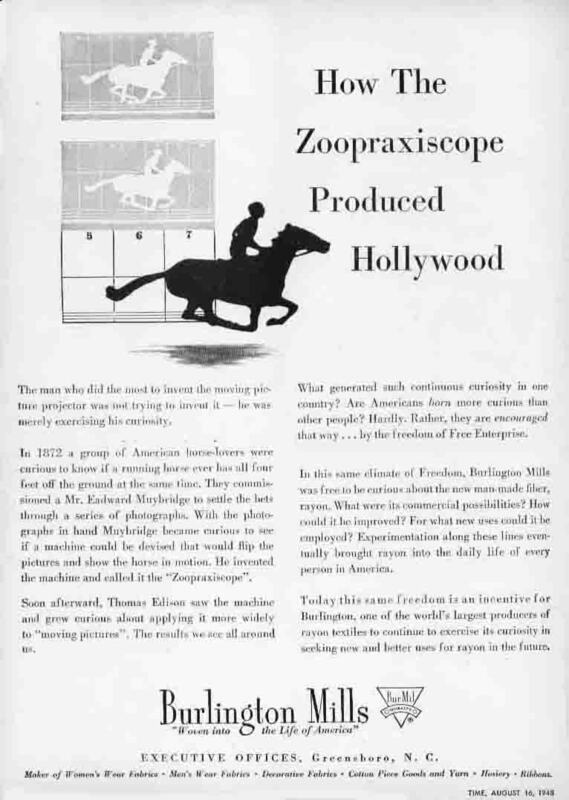 It strikes me that this is directly relevant to several categories of Muybridge’s works – his lantern slides are rarely shown in their intended projected form and are never shown as part of their original presentation flow with his spoken commentary – and similarly the Zoopraxiscope discs are presented as antique glass objects of beauty, but we don’t see the images carefully framed and in motion on a 10ft (or bigger) screen as Muybridge’s audiences did. Current Muybridge “moving images” are animations of an entirely different nature, of photographs that Muybridge didn’t animate. 4.30pm – 5.30pm: Panel Discussion, with selected questions from the audience. Chaired by Professor Fran Lloyd, Associate Dean of Research at the Faculty of Art, Design and Architecture, Kingston University. A range of intelligent questions from the audience concluded the symposium, but there was still a lot to discuss during the post-event reception. The current Kingston Museum / Kingston University blend of archive/collections experience and academic/theoretical input is evidently working very well across the wide range of joint activities and projects emanating from Muybridge’s home town. Another new website, Muybridge in Kingston, has been launched, to provide information on the exhibitions and events planned in Muybridge’s home town from this summer, and the Kingston Museum Muybridge Collection. 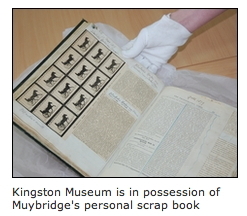 Muybridge in Kingston is an exciting collaborative research and development partnership between Kingston University and the Royal Borough of Kingston that is celebrating and investigating Kingston Museum’s world-class collection. This ongoing partnership aims to broaden access to, and understanding of, the collection through a programme of innovative research projects including special exhibitions, publications, web-resources, conferences, symposia and other public events. This exhibition focuses on arguably the rarest surviving Muybridge objects within the Kingston Museum collection, the beautiful hand-painted glass zoopraxiscope discs. Numbering nearly 70 discs, these objects comprise an astounding collection of items, which straddle the disciplinary boundaries between photography, art, animation and cinematography. Informed by true photographic sequences, the discs were designed to confirm the validity of Muybridge’s moving image work, which he sought to achieve through an extensive, world-wide lecture programme. Compared to Muybridge’s photographic work, these are possibly the least well known or understood part of his career. As such, they are sometimes overlooked in terms of their significance. Displayed alongside the discs will be some of the original photographic sequences that informed them, represented as albumen prints, collotype prints and images on glass. 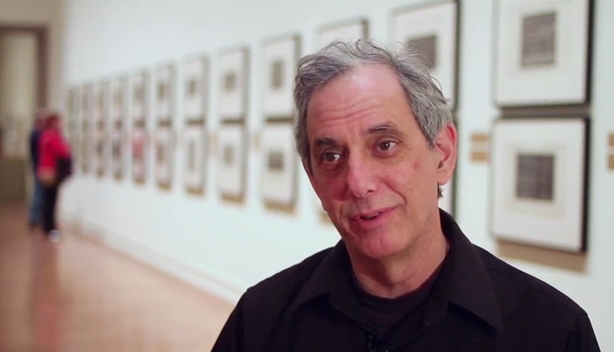 The relationship between the original photographic sequences and the discs form an integral part of a new interpretation of his work, the result of new research into the Kingston Muybridge collection. 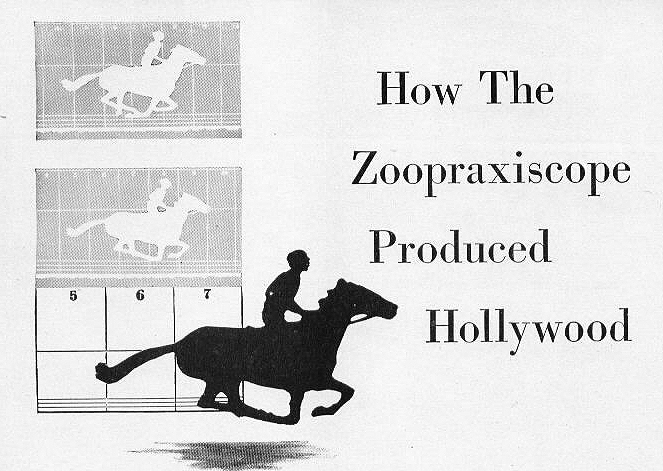 Muybridge’s groundbreaking work remains a key inspiration to practitioners across an array of interdisciplinary fields. …. the Stanley Picker Gallery is celebrating his lifetime’s achievements through the eyes of two contemporary artists who have been given privileged access to rare material held at the Kingston Museum archives. These new commissions provide us with twenty-first Century perspectives on a world-class historical collection, and explore new ways to consider the ongoing impact of Muybridge’s influential work. ….ambitious new moving-image and photographic works inspired by Muybridge’s famous collotype sequences of human figures. As part of a residency at The London Contemporary Dance School, the artist has invited dancers to reinterpret gestures and actions that relate to the various visual narratives that Muybridge himself built into his original motion studies. Taking inspiration from ambiguities in his life-story… an installation of new works that reflect upon the end of Muybridge’s life after his truly epic experiences in the American West. 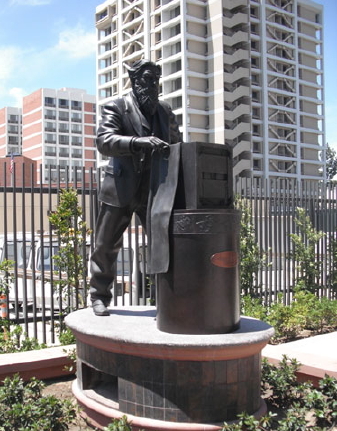 Beasley has attempted to trace an origin to a myth that, at the time of his death, Muybridge was constructing a scale model of the American Great Lakes in his back garden in Kingston. 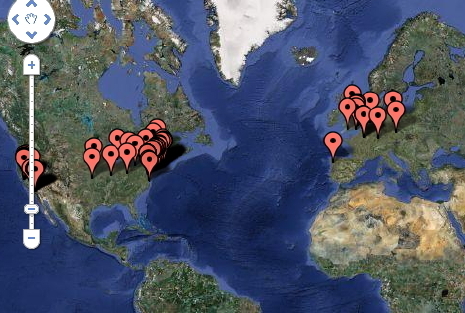 Plus: links to the new Defining Modernities web portal, and (forthcoming) information on Events.